Formed as the 2nd London Rifle Volunteer Corps in 1860, its members were recruited mostly from employees of the newspaper and printing industry, two whole companies being provided by the Daily Mail. 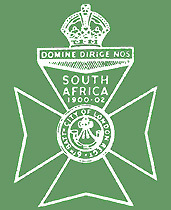 The corps became a volunteer battalion of the King’s Royal Rifle Corps in 1881 and in 1900 sent a large contingent with the City Imperial Volunteers to South Africa. The title, 6th (City of London) Battalion, the London Regiment (Rifles) was assumed in 1908. During the First World War, both the 1/6th and 2/6th Battalions served in France and Belgium, while the 3/6th became the 6th (Reserve) Battalion in 1916. Also in 1916 the ‘Rifles’ became part of the KRRC. In 1935 they transferred to the Royal Engineers as 31 Anti Aircraft Battalion.